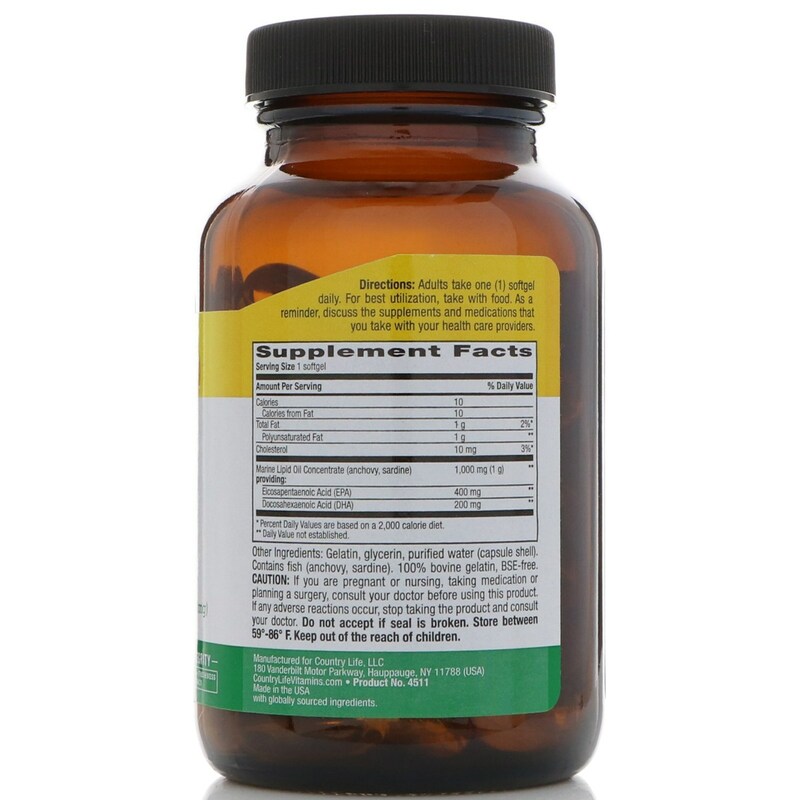 Alpha-linolenic acid (ALA) and linoleic acid (LA) must come from the diet because they cannot be made by the body. ALA, an omega-3 fatty acid, is converted in the body to the fatty acids eicosapentaenoic acid (EPA) and docosahexaenoic acid (DHA). 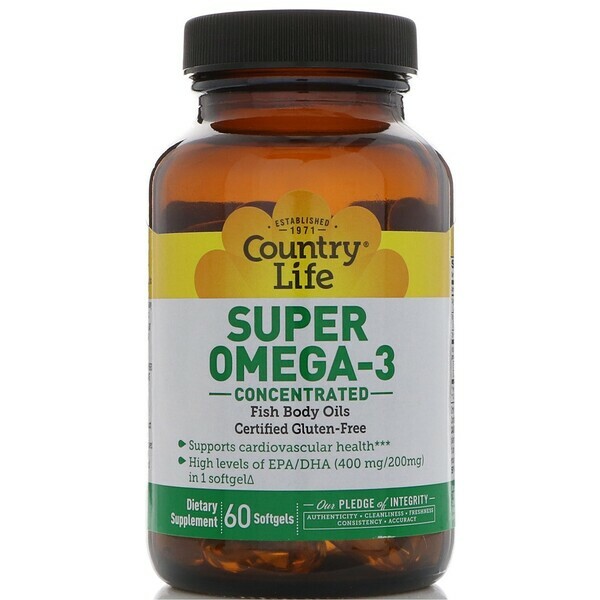 Consumption of omega-3 fatty acids supports cardiovascular health. ^This Super Omega-3 contains more EPA/DHA per softgel, compared to Country Life's Omega-3. 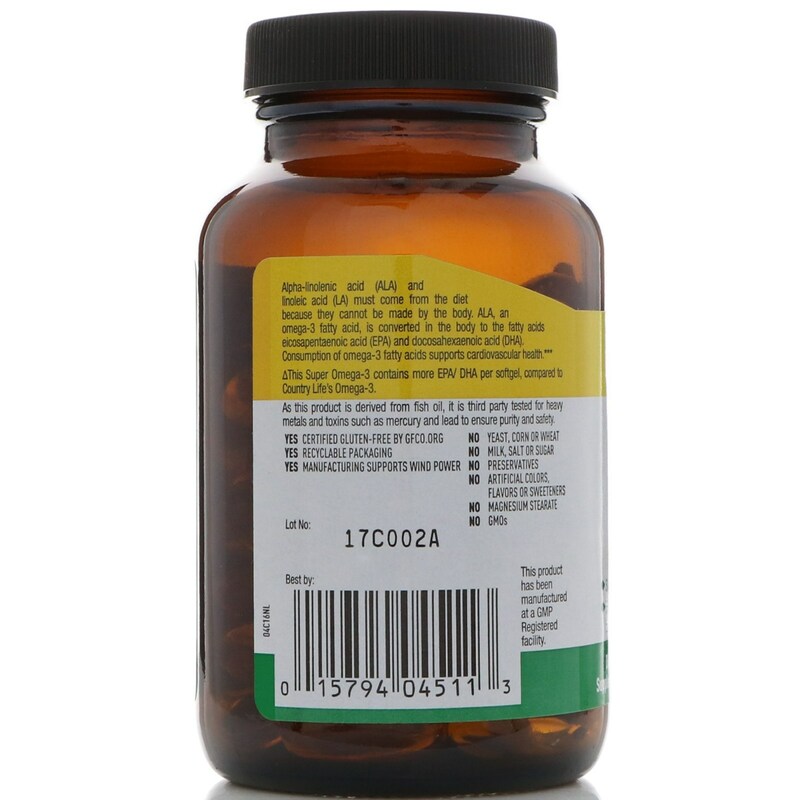 As this product is derived from fish oil, it is third party tested for heavy metals and toxins such as mercury and lead to ensure purity and safety. Gelatin, glycerin, purified water (capsule shell). Contains fish (anchovy, sardine). 100% bovine gelatin, BSE-free. Caution: If you are pregnant or nursing, taking medication or planning a surgery, consult your doctor before using this product. If any adverse reactions occur, stop taking this product and consult your doctor. Do not accept is seal is broken. Store between 59-86°F. Keep out of the reach of children.